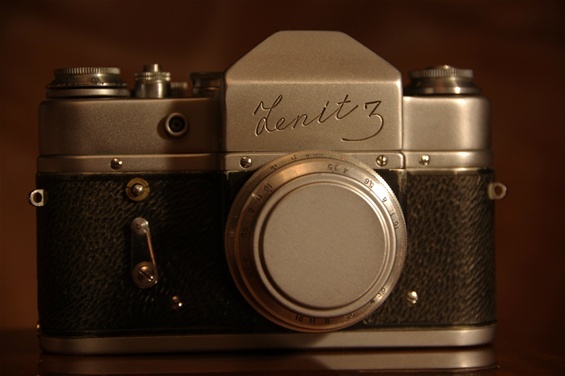 Zenits first PP SLR came in 1952. They were among the very first, but was never a leader by technology. They followed international trends, and although often being some years behind, they had some worlds first, like the motor driven Zenit 5. They delivered very solid cameras that sold in high numbers. 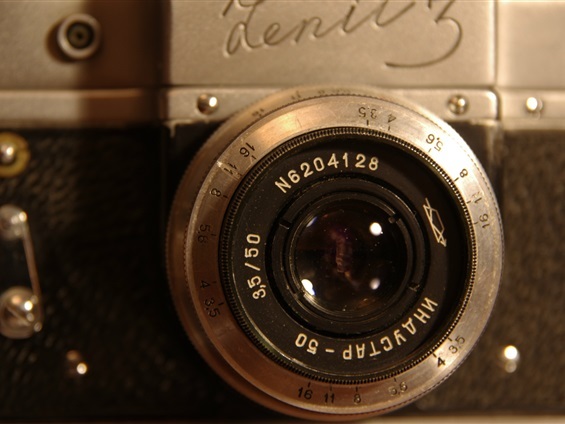 But as the new digital cameras took over, the company could not follow and ended production in 2005. 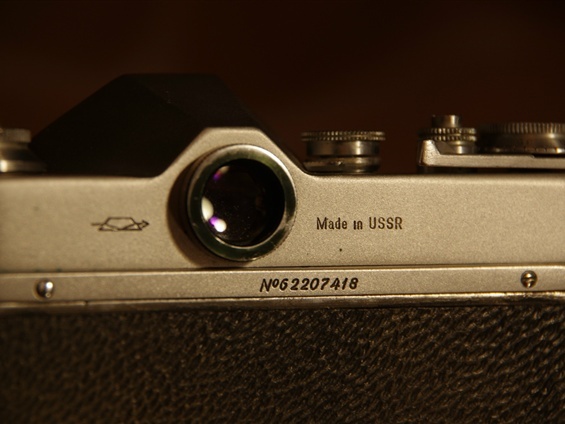 Built on the chassis of the Zorki rangefindre camera, and added a penta prism on top, the KMZ factory in Kraznogorsk outside Moscow was able to show this Zenit in 1952. The Zorki was a copy of the Leica II, so this very neat and well working Zenit was the closest one ever got to a pioneer Leica PP SLR. Produced from 1952 till 1956, 39.019 copies sold. A beautiful camera that works well. Size: 134x91x50mm. Weight: 528 g. Sn. 5420961. 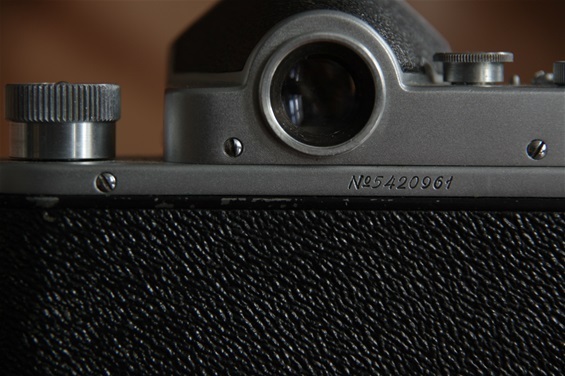 Older cameras sometimes had a top deck, as on most range finder cameras. Winder and counter to the right, rewinder to the left and shutter release button plus shutter speed and rewind release handle on upper deck. A very neat camera, and the brightest viewer you can think of! Shutter times from 1/25 (later 1/30) to 1/500. 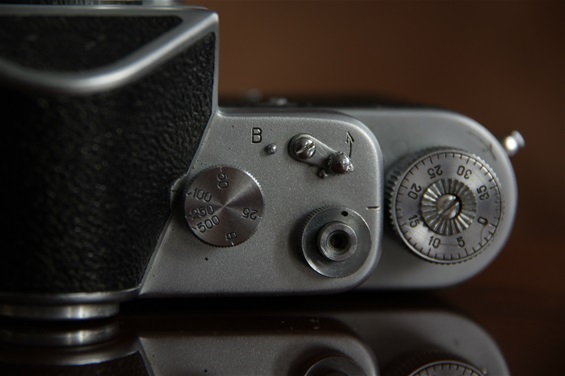 The handle in front of the shutter release button must be set to B to rewind the film. 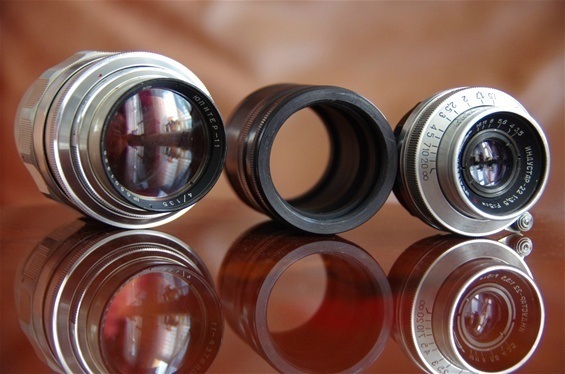 The well known standard lens, the Industar 50/3,5. 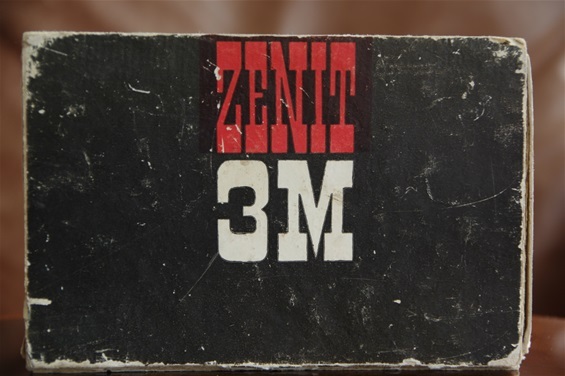 The first Zenit models featured a M39 mount. Sn. 5416330. Again, 54 means 1954. Jupiter 11 135/4 tele, extension tubes + Industar 22 50/3,5. 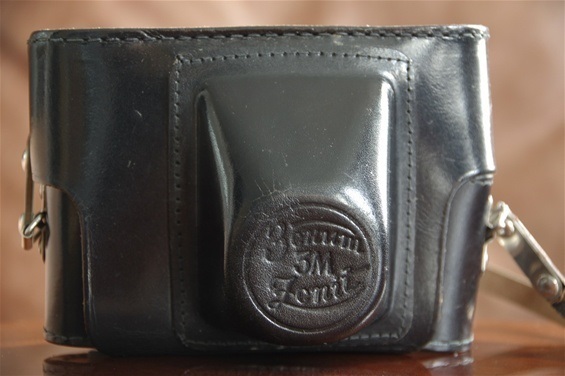 The serial number starts with 54, so it is produced in 1954. There are only very few known samples from 1952. 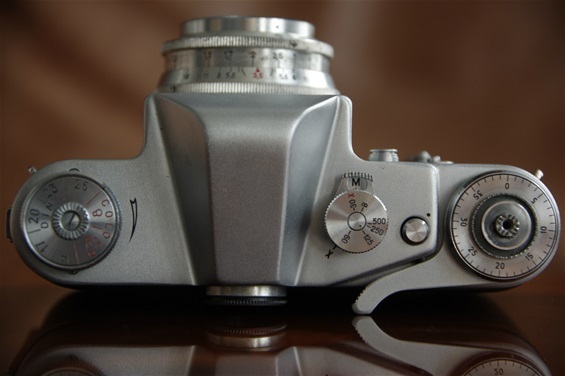 The Zenit 1 was produced until 1955, and the different variants showed only small differences. The most significant was the logo itself, the very first ones had framed square letters. That logo came back from time to time, but most carried the logo like this one, handwritten style. Other details were sn. 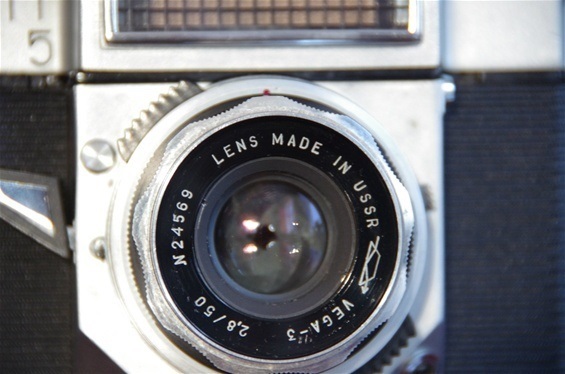 in standing types or in cursive, painted or vulcanized short side of the lens mount section, lifted or engraved logo on the prism house front. And, shown here, one or two screws on the upper back wall. 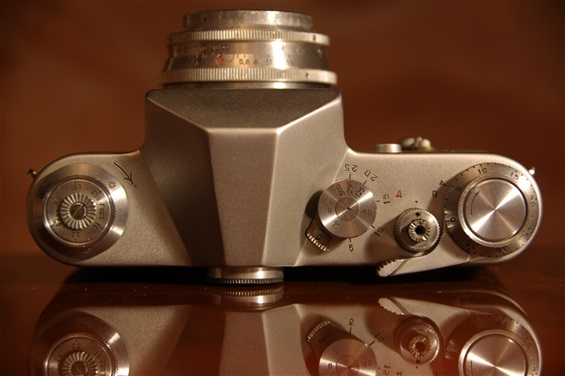 Zenit S replaced the Zenit in 1955 and was produced till 1962 in a total of 232.949 pieces. The C (S) stands for Syncronized, meaning via the flash socket in the front. It also introduced long shutter times. 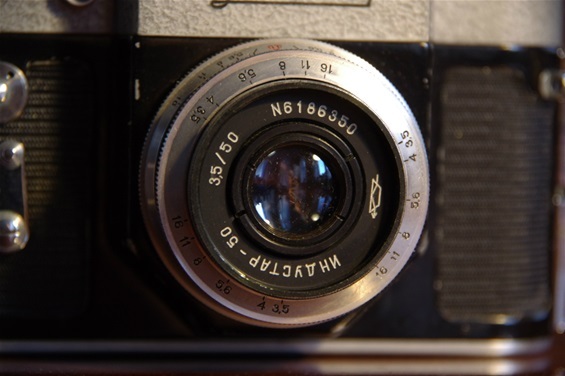 The rewind release handle on the top deck was replaced by a dial around the shutter release button. 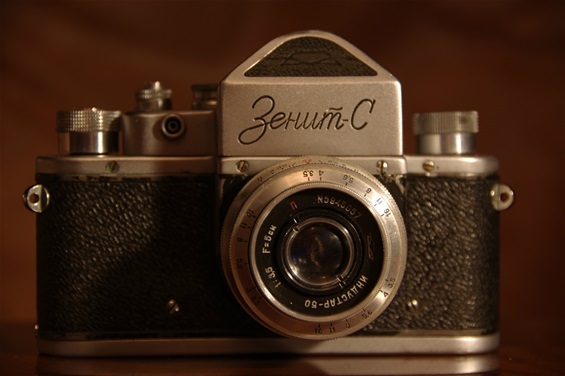 The Zenit S of 1955. The only visible change as seen from the front is the flash socket. Sn. 59910675. same measures as the Zenit 1. Weight: 535 grams. A torn leatherette and dents on the prism top. More interesting is the introduction of long shutter times via the split handle and the removal of the rewind release handle in front of the shutter time button. 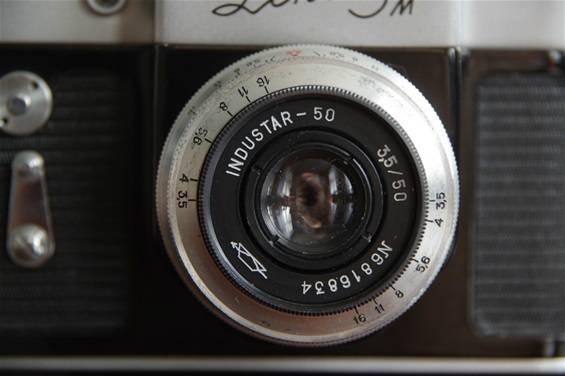 A standard Industar 50/3,5 lens. 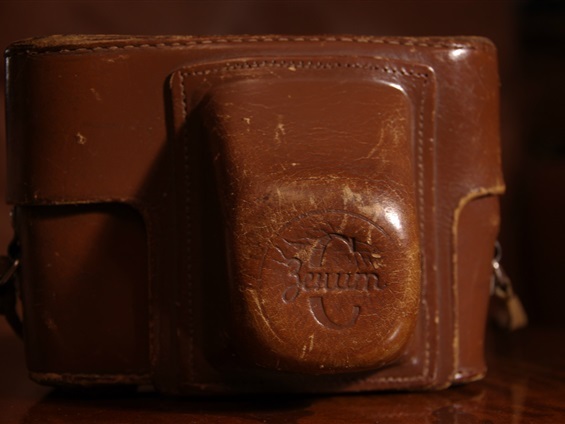 Those were the days of handcrafted leather cases, even with make and model engraved! 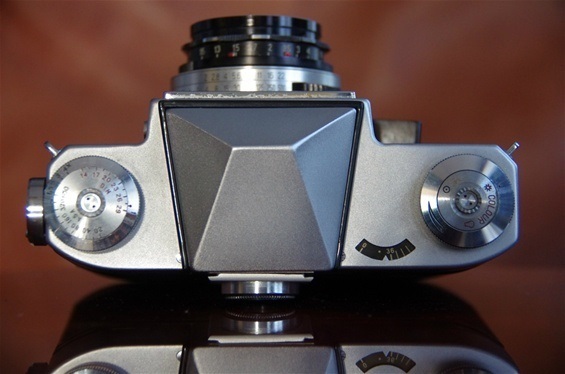 With the third model, Zenit introduced a rather modern camera. A smooth winder arm, a new prism house, no extra top deck and a self timer were features that could match the japanese. But it proved too expensive to produce and was terminated in 1962. Produced from 1959 till 1962. Total of 81.776 bodies. 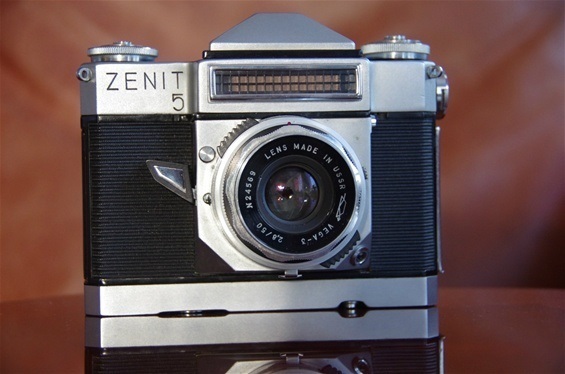 The Zenit 3 was Zenits third model, featuring a new construction. The top deck was incorporated into the house, giving a more ordinary shape. There was a self timer in the front and a new prism house as well. 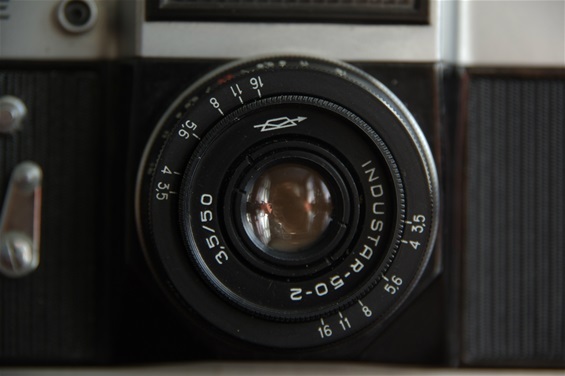 The flash socket from Zenit S was kept. It was even smaller than the previous ones: 133x89x 47 mm. But heavier: 592 grams. 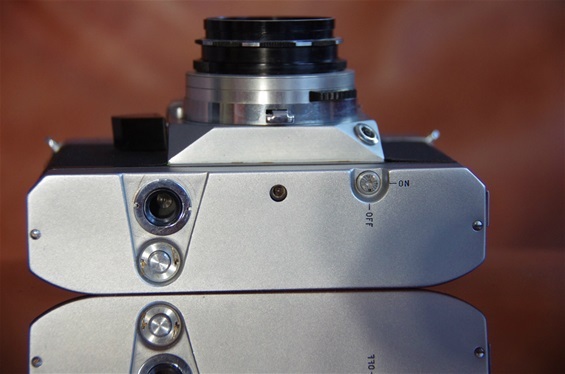 Besides the new and modern top plate, Zenit also introduced a new winder arm. It has a pleasant feeling, not too hard and not too long movement. 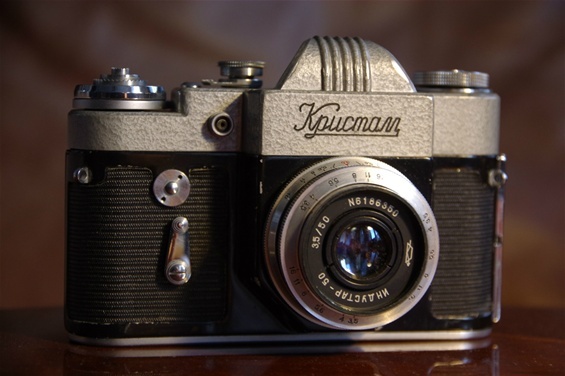 In 1961 the Krystall followed the Zenit 3 of 1960, and like its elder brother, it was produced for only a short while. 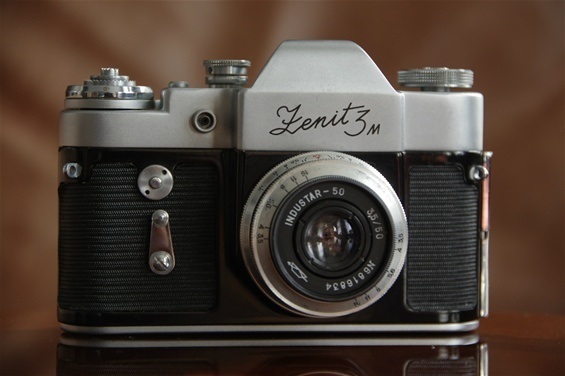 While the Zenit 3 was stopped because it was too expensive to produce, the Krystall was taken out of production after only one year because of the not so popular hammer paint. No other camera has ever had this surface. 65.433 units were produced until mid 1962. 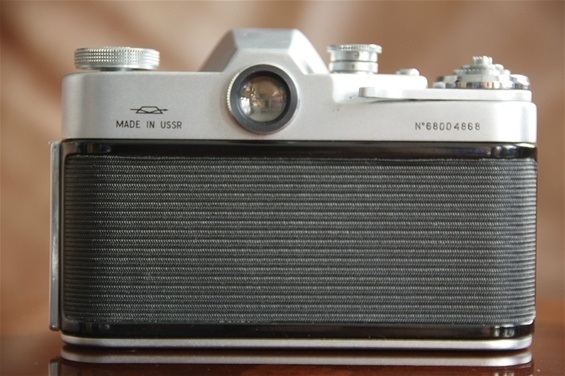 Here is a rather rare Krystall, an unmistakeable Zenit, although no such logo was ever found on it. The hammer paint and the stripes over the prism were bold design moves, but it never catched on. The Krystall was replaced by the almost identical 3 M in '62. Measures as 3M. Weight 587g. Sn. 61025312. 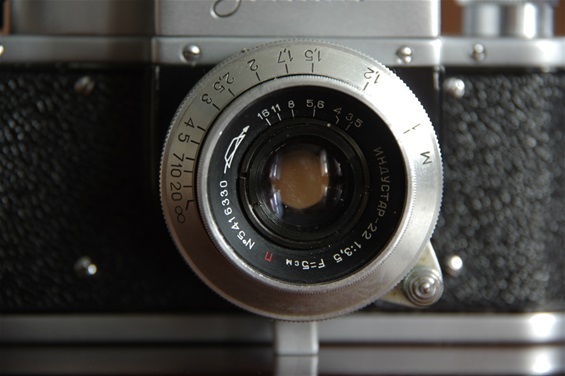 The Industar 50/3,5 standard lens. Sn. 186350. 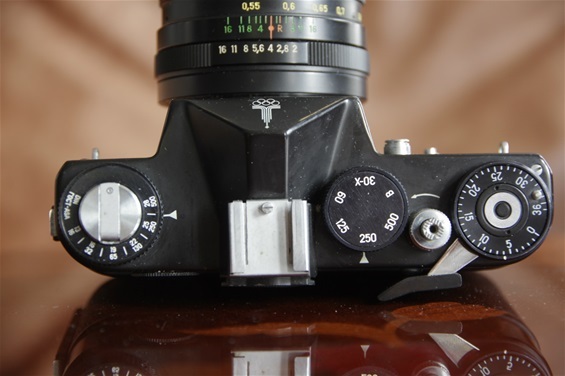 Winder arm replaced the knob from Zenit 3. Aside from the hammer paint and the five elevated stripes this is exactly like the later 3M. Top deck, as on Zenit 1. Simple and elegant layout. Standard Industar 50/3,5. M42 mount. Sn. 6816834. Sn. 68004868. First two digits shows year of production. So, produced in 1968. A somewhat worn box with all original papers inside. The case, however, is almost like new. 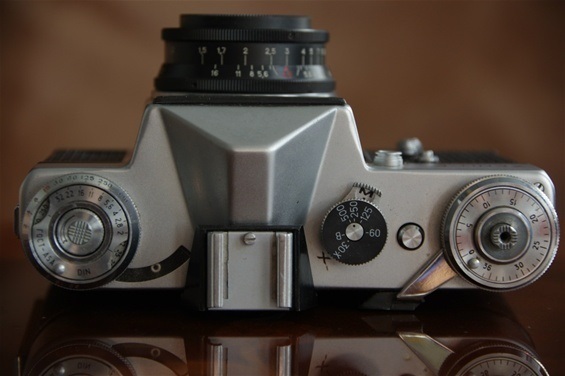 The Zenit 5 was a copy of the model 4, but with one major difference: it introduced a built in motor as the first PP SLR to do so. The batteries were built into the bottom of the camera, thus the extra height. A charger was to be plugged into a hole i the base plate to charge the batteries, and a on/off switch determined motor/manual mode. Size: 140x110x49 mm. (House) Weight with fixed lens: 1367 grams! Sn. 6602564. A Vega-3 lens, 50/2,8. 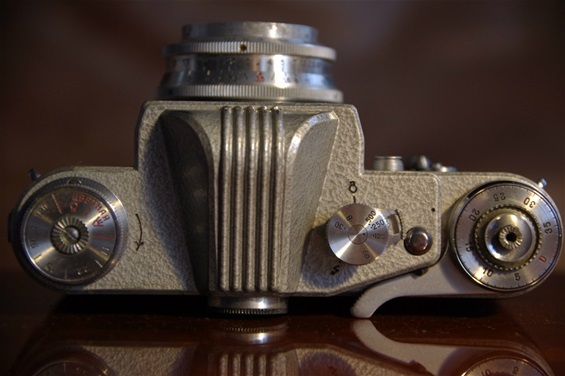 The Zenit 4 introduced a west-german style leaf shutter behind a fixed lens. This was to follow on the Zenit 5 and 6 as well. Although this shutter was locally popular in West-Germany, it had no future and died with the west-german brands. A very clean layout, as shutter times are on the lens and shutter release button on winder knob. The base plate with hole for charger. 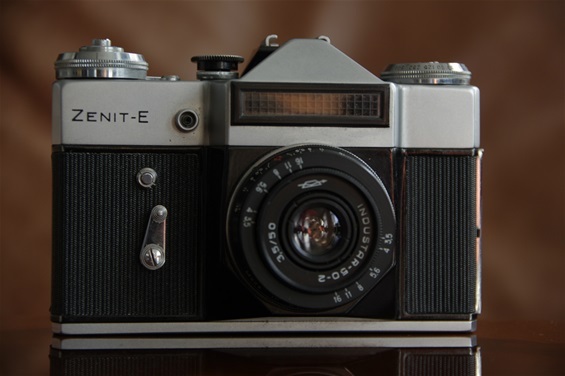 The Zenit E of 1966 was produced in a number of more than 3 million till 1986, when production was stopped. 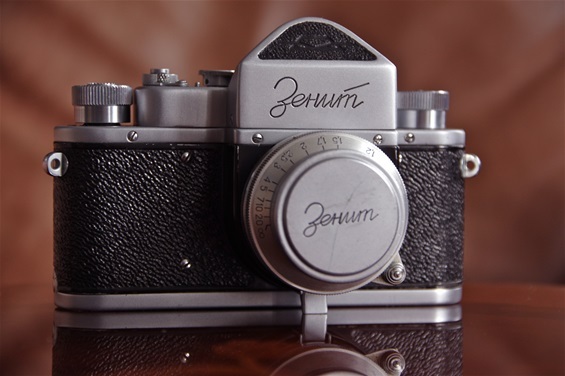 Zenit produced many models through the years, some by Belomo in Ukraina. The last model, the KM Plus, was produced till 2005, in 15.097 units. This E model weighs 702 gr. Size: 137x89x49 mm. 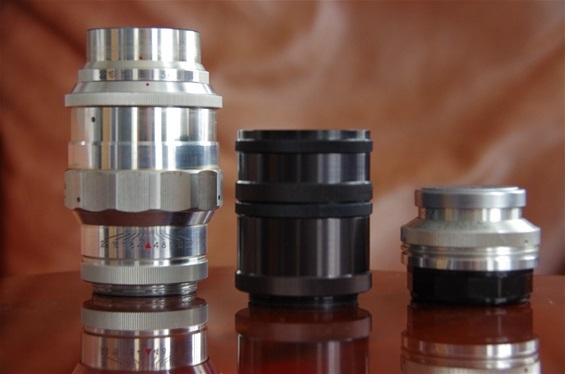 M42 screw mount. Sn. 72004734. A metering system much like the west-germans around 1960. Not coupled, so one would chose aperture or shutter time and then read the suggested combination from the circle meeting an arrow. A rather old fashion system, considering that it was sold up till 1986! Another Industar 50, but improved to f stop 2. 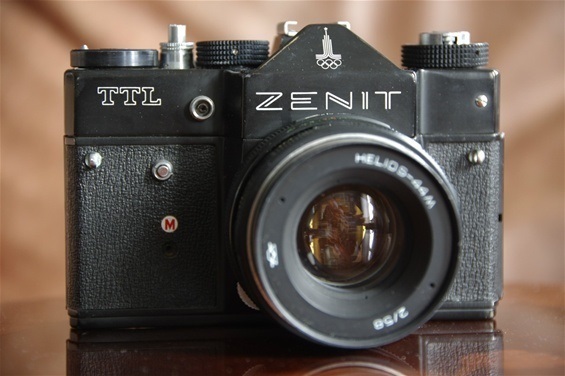 The TTL was the first Zenit to feature a TTL metering. Many variants were built, summing up to more than 1,6 million cameras. Ended in 1985. Plain, traditional layout. Shutter times from 1/30 to 1/500. The famous Helios 44 58/2. During the 90s it became obvious that Zenit could not compete with the more modern japanese brands. 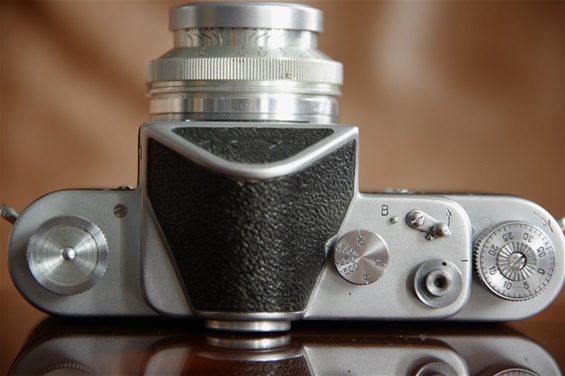 The lack of autofocus, very limited shutter times and, most important, lower degree og quality, left the brand with hardly anything but price as a weapon. 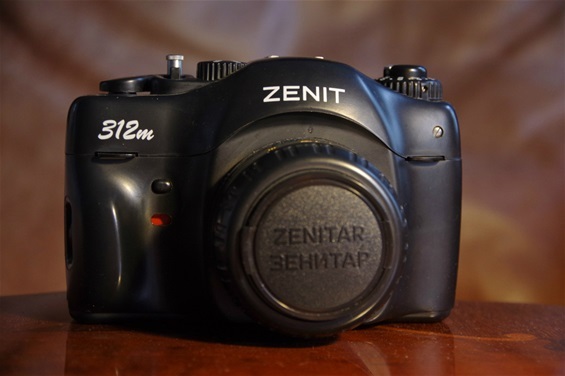 Zenit introduced a new series, the '12 series, consisting of 212, 312 and 412 models, all based on the 122 model from 1990 but with a quite new design. But their sales were small compared to the 122, only some hundred thousand compared to the 1,9 million 122s. 312 model alone sold 71.834 copies. 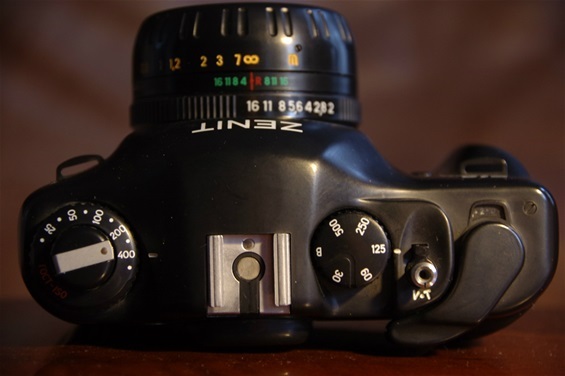 The very last KMZ Zenit was the KM and KM Plus, less plastic feeling, design like japanese cameras from around 1990, 1/2000 to 1 sec shutter times. 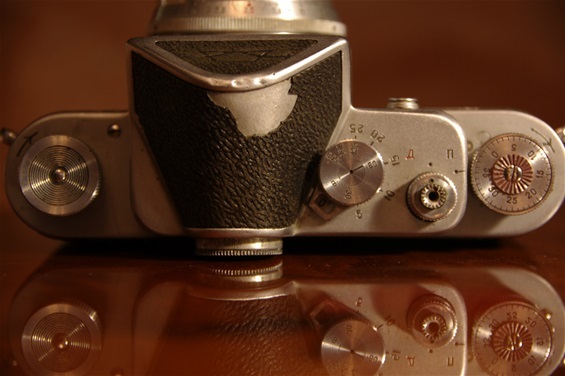 The problem was that most other brands had introduced digital cameras at the time. The era of film was over. 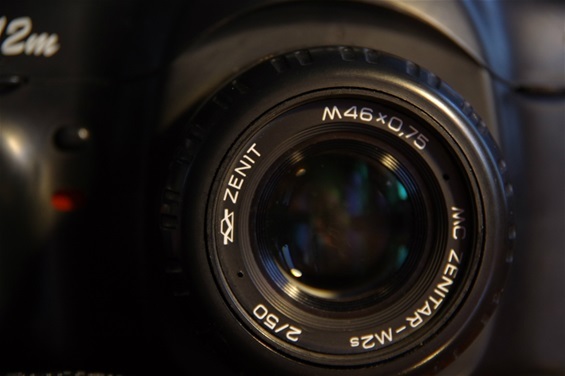 The last Zenit was produced in 2005. 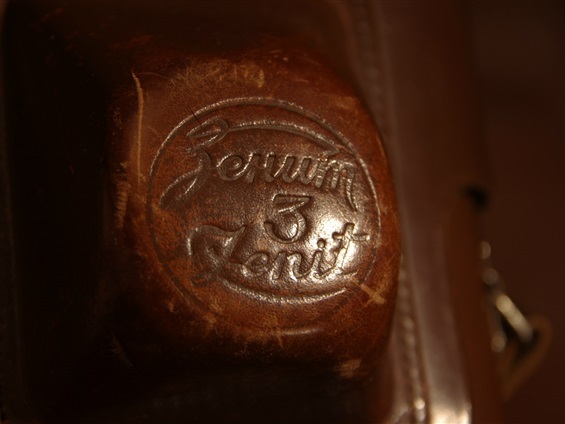 The 312 m of 1998 illustrates the last chapter of the Zenit story. 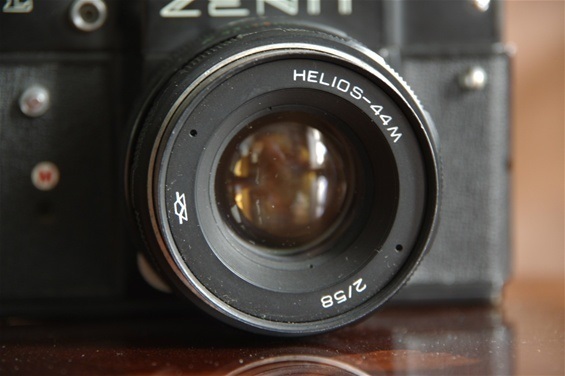 Bold design, but a very plastic feeling, even the very good Helios lens, renamed Zenitar, was plastic, and shutter times were still only 30 to 500. Size: 142x94x53 mm. Weight: 535 g. Sn. 00009508. Produced in year 2000. This is a very good 50/2 Helios lens, but renamed Zenitar and covered with plastic. Still M 42 mount! Sn. 00016306. ISO 600 as max, 30 to 500 shutter speed. All plastic except rewinder arm, flash shoe and shutter release button. Not 1/n s but 0-25 ms. These numbers are deceptive. They are intended for correct synchronisation. 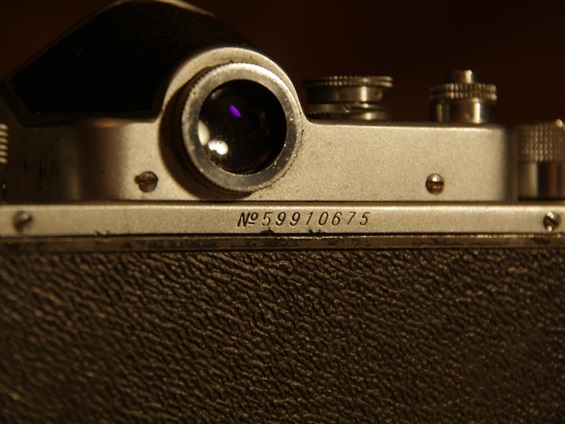 The photo of the top of the camera clearly shows the shutter times from 1/25 to 1/5 engraved around the sh. speed knob. Kept on Z3, but then removed. First of all, my sincere congratulations on your outstanding website! 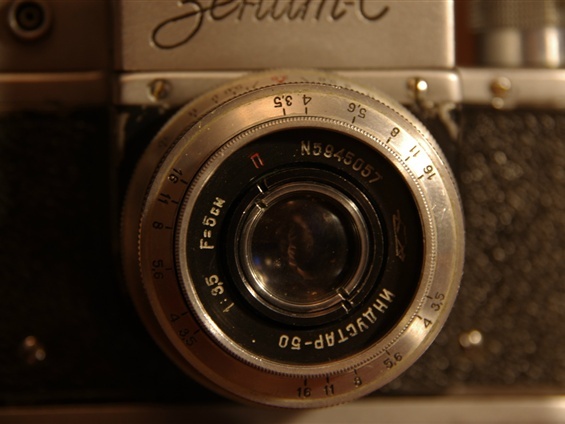 The Zenit C doesn't provide long shutter times. In addition to B it provides only T.